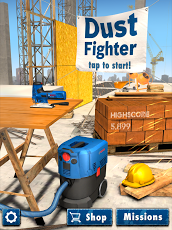 Bosch presents Dust Fighter, the endless runner for real professionals!Play the toughest game challenge in the app store. Show that you’re a professional with a jigsaw and don’t give dust a chance. 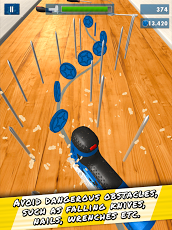 Evade hazardous obstacles, like falling knives, nails, screw wrenches or measuring tapes, and saw your way to a high score. 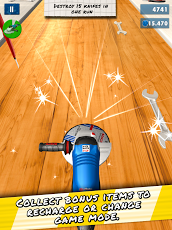 Work accurately, extend the lifetime of your saw and look after your health by collecting the Click & Clean Bonus! 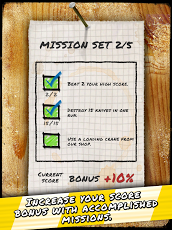 Complete lots of missions and collect coins. Enhance your skills as a professional by using these coins to buy upgrades and special items in our shop. 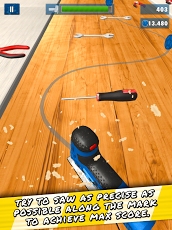 Use the angle grinder to clear obstacles out of your way with ease. The loading crane catapults you right to where the action is!